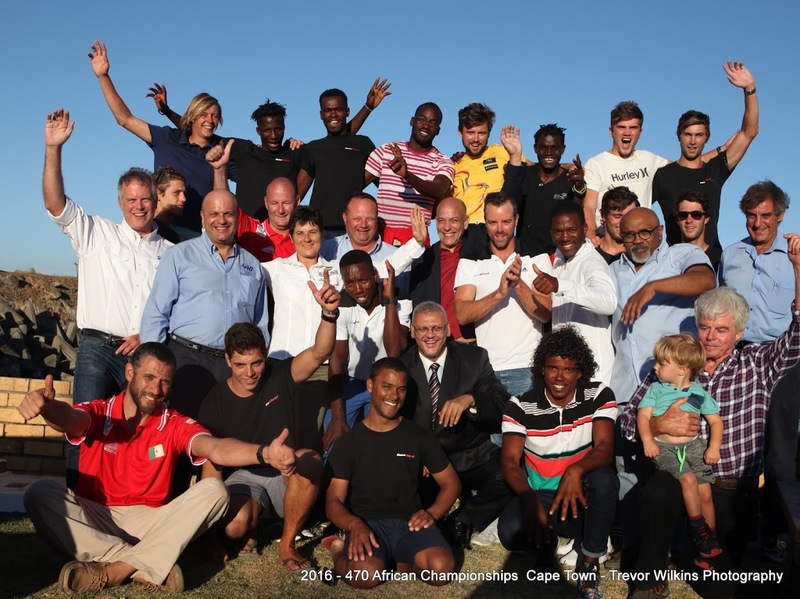 The team have been sparring with their training partners Sibusiso Sizatu/Alex Burger each day of the Championships, as the lead and the yellow jerseys have swapped hands. 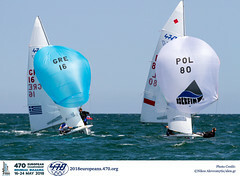 A windward-leeward course was set, and two back to back races were to be completed. 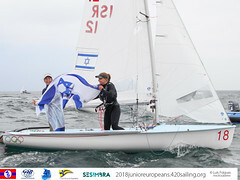 In contrast to the previous days, a lack of wind caused a postponement to the opening race of the day, and the Race Officer opted to relocate the course further offshore. 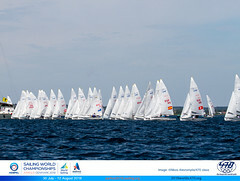 A ninety minute wait and race 9 got underway in an easterly breeze of 14-15 knots. 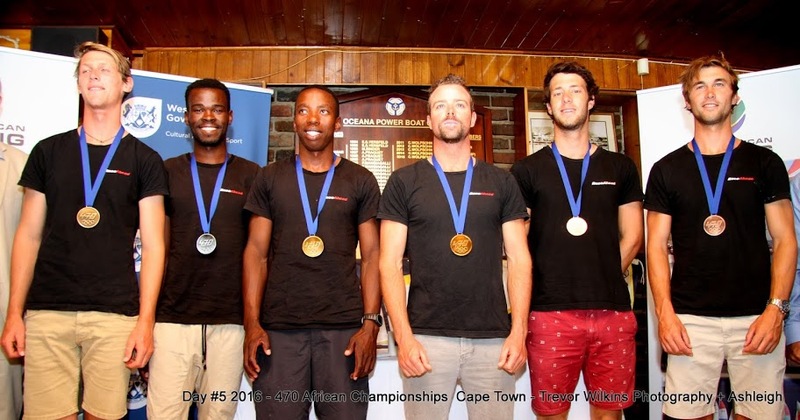 Asenathi Jim/Roger Hudson (RSA1) took a convincing win over Sibusiso Sizatu/Alex Burger (RSA11), with Ricky Robinson/Brennan Robinson (RSA8) in third. 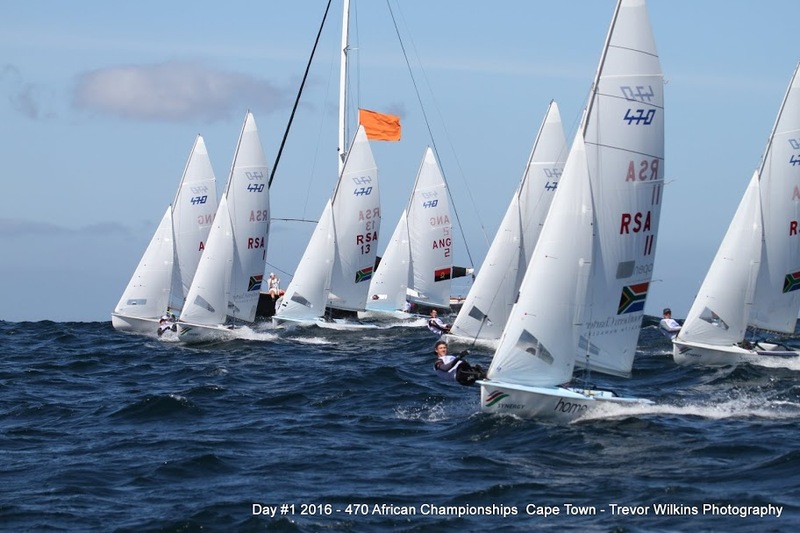 Nerves and pushing forwards on the start line for race 10 meant a general recall, and the restart under black flag saw a clean start. 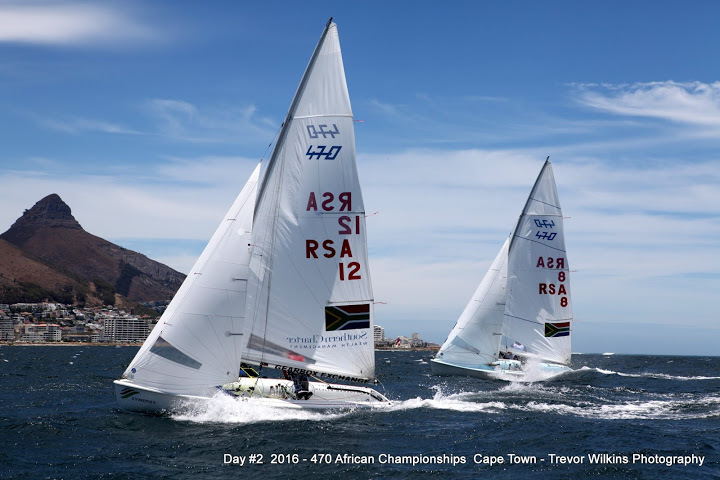 The win again went to Asenathi Jim/ Roger Hudson (RSA1), with a swap in finishing order behind seeing Ricky Robinson/Brennan Robinson (RSA8) count a second place and Sibusiso Sizatu/ Alex Burger (RSA11) in third. 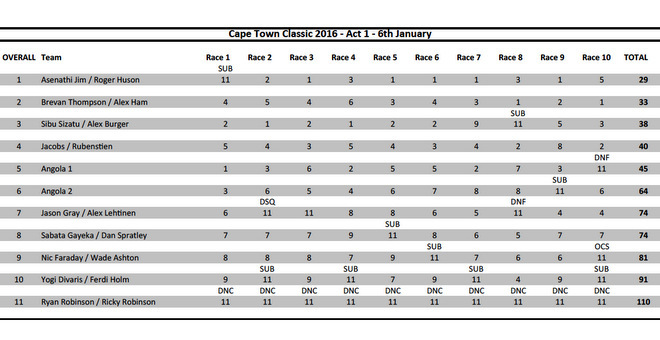 Click here for full results after 10 races. 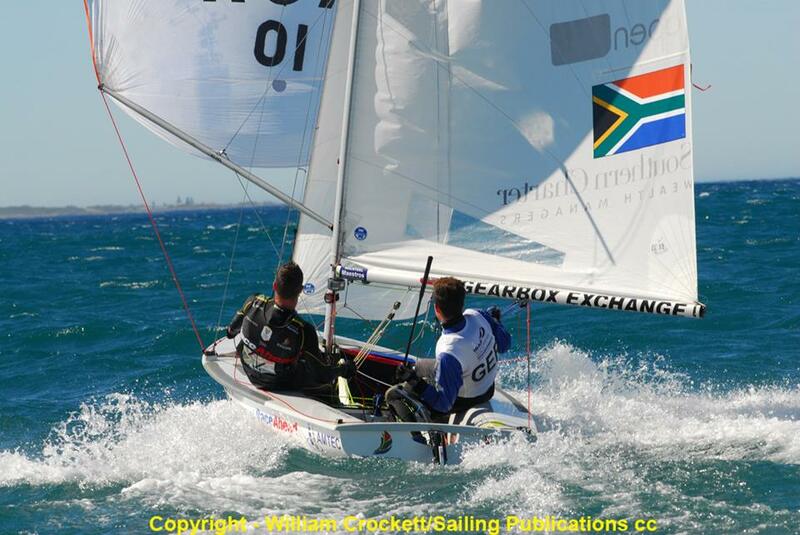 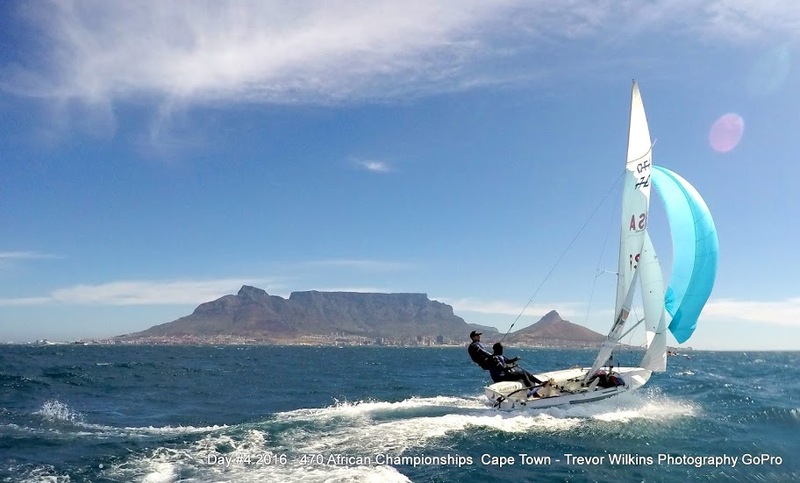 The Medal Race is scheduled to start at 1300 on Sunday 17 January.